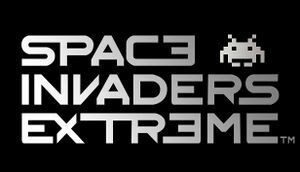 New version of Space Invaders Extreme not based on previously-existing ports, rebuilt for PC. Requires an internet connection to play, preventing offline mode in Steam. Requires an internet connection to play, preventing offline mode. On by default but minimizes with Alt+Tab ↹. See Borderless fullscreen windowed. Use the -screen-fullscreen 0 -popupwindow command line arguments. Use the -screen-fullscreen 1 -window-mode exclusive command line arguments. Uses Steam Input API for controllers. ↑ 1.0 1.1 File/folder structure within this directory reflects the path(s) listed for Windows and/or Steam game data (use Wine regedit to access Windows registry paths). Games with Steam Cloud support may store data in ~/.steam/steam/userdata/<user-id>/744050/ in addition to or instead of this directory. The app ID (744050) may differ in some cases. Treat backslashes as forward slashes. See the glossary page for details.